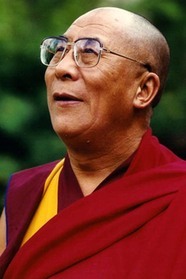 Tenzin Gyatso, the Fourteenth Dalai Lama, is the spiritual and temporal leader of the Tibetan people. He was awarded the Nobel Peace Prize in 1989. He lives in exile in Dharamsala, India. In this unparalleled series of conversations, the Dalai Lama and Ekman prod and push toward answers to the central questions of emotional experience. The Dalai Lama presents the basic worldview of Buddhism while offering answers to some of life's most profound and challenging questions. The Dalai Lama explains the principles of meditation in a prectice-oriented format especially suited to Westerners.